C.J. splashes through the shallow waters of a narrow, dark tunnel. He stops to adjust the breathing apparatus that covers his mouth and nose. A hissing sound escapes as he breathes in and out. His piercing gray eyes darts over at the sound of something splashing in the water ahead of him. The beam of his government-issued flashlight lands on a plump, wet rat. There is a mini standoff until the rat scrambles into an auxiliary tunnel. As C.J. moves towards the vertical pipe, leading to a manhole cover, he hears another splash, this time louder, behind him. As he turns his light toward the noise he is startled to find a small, shirtless boy blankly staring back at him. FINISH THE STORY. Feeling stuck or just need to oil those creative muscles before you jump into you next writing project? Try this writing prompt to get things going. The E Street Farmers' Market was loud and swollen with Sunday shoppers. Gillian inspected the green mangoes at the rickety fruit stand. Her orange tote bag hung from her wrist, that was encased in a dingy,white cast. She pulled the arm closer to her as she made it over to the stall with summer corn. Something made her look behind her. To this day she still doesn't know what. There he stood, clad in a red wool sweater. Completely inappropriate for New Mexico in July. He didn't look at her, but she knew he was there for her. WHAT HAPPENS NEXT? 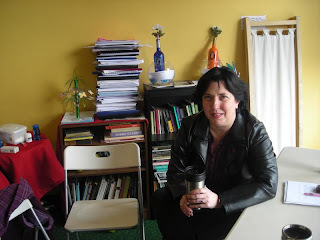 Last week, after conducting a writing workshop, one of the participants said I was "like the black Eve Ensler." I joked I was just doing my best to be the black Michelle Sewell. After watching this passionate TEDGlobal talk by Eve Ensler, I am just happy we are marching in the same girl army! By the time I saw the world premiere of Carolyn Gage’s powerful and raw play, Ugly Ducklings, Deborah Randall had been running Venus Theatre for over four years. It was April 2004 and I was catching one of the final shows at the Warehouse Theatre in Washington, DC. Deborah (and her set designer Paul Kelm) had transformed the small auxiliary stage into the Maine all-girls summer camp that is the setting for the unsettling play. For over 90 minutes, an intriguing and diverse cast of no less than thirteen women actors (some as young as eight-years-old), held the audience in rapt attention. As they expertly wove the delicate tale of discovery, pain and betrayal, in the world of tenuous summertime sisterhood, you knew you were seeing something unusual. Not just Gage’s well-written script, but all those women on one stage. Since 1999, the founder and artistic director of Venus Theatre has been on a mission to create as many opportunities for audiences to see complex and provocative stories told by and performed by women. Deborah’s first indication of the power of theater in women’s lives was during her membership in an interactive improv female troupe, Venus Envy, which provided programming for women in domestic violence shelters. Through broken teeth and blackened eyes, the women embraced the empowering and healing skits and activities that gave them some of their dignity and voices back. During this period, Deborah was also seeing a “dumbing down” of the already limited roles for women in theatre and she could no longer abide by the worsening opportunities for an entire generation of female actors. In response she created Venus Theatre. 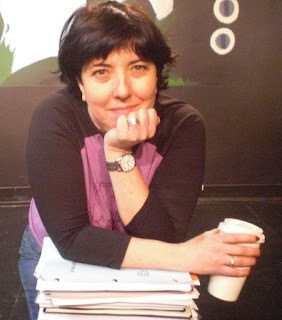 Within a year she had incorporated and was now Washington, DC’s only non-profit feminist theatre. Almost immediately she started requesting work from women playwrights, submissions now number in the hundreds, and the wRighting Women Reading Series was born. The series allowed Deborah to cast talented actors in challenging and important roles and introduce fresh stories to hungry audiences. Deborah reflects on one of her own earlier challenges when mounting these productions. “For the first seven years of the company, every time we launched a new show or reading, I had to rent a space.” Over the years, Deborah has set up her feminist caravan in every available theater space in Washington, DC (as well NYC , Pennsylvania, and Baltimore). In 2007, she decided it was time to create a permanent home for her mercurial company. 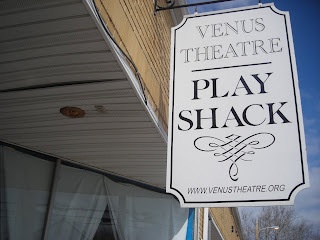 Venus Theatre The Play Shack is now located at 21 C Street in Laurel, Maryland. The convenient location makes it accessible to theater lovers coming from DC, Annapolis and Baltimore. “Once we moved into our own black box, I was surprised to discover how much stress I had been feeling having to bounce around D.C., finding venues to do our plays. Now I get to park right in front of my own theatre,” an amused Deborah shared. Deborah is the first to admit that it takes a great deal of sacrifice to do what she has done. It helps that her partner of 21-years, musician Alan Scott, has been unwavering in his support of her work. He has encouraged her to take more risks and make Venus her chief focus in her artist’s life. She hasn’t had a “day job” in years. She is immensely grateful, that on a daily basis, she has the opportunity to embrace her desire to create a space for women. But running a theatre company doesn’t mean that she gets to churn out her own plays in any regular frequency. 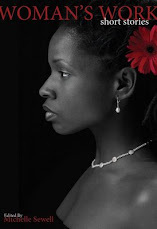 After ten years of producing and directing Deborah has had to put her own writing and performing to the side at times. But this year, she will direct the second play of the Venus season, In the Goldfish Bowl, which focuses on four women on Texas death row. She will also debut and perform in her own one-act play, Tuesday, at the Capital Fringe Festival, later this summer. The play centers on a hotline volunteer that is faced with the truth of her own crumbling life as she tries to support the women who call the hotline. Lee Mikeska Gardner, who Deborah is eternally grateful for her talent and her demand that she stretch herself in this new work, directs Tuesday. What’s next for Venus Theatre? More plays that set flight to the voices of women. “I was born to do this. This is where I feel like I’m in my vein of gold,” Deborah says, as she prepares to get back to work. On March 11, 2010, Venus Theatre will kick off its 10th season with the world premiere of Zelda at the Oasis, written by P.H. Lin and directed by Lynn Sharp Spears. The play takes a fictional look at the life of Zelda Sayre Fitzgerald, wife of the noted American novelist, F. Scott Fitzgerald, who wants nothing better than to be recognized as an artist in her own right. Two things stand in her way: an inherited mental instability, and an overbearing husband. The play runs until April 4, 2010. For more information on tickets click here. Michelle Sewell is a screenwriter who was horribly miscast as the “wicked witch” in her sixth grade Halloween play, when she really wanted to be the “cute alien,” and has been plotting her revenge ever since. 50% of the earth's population has a period! Innovation to improve quality of life comes in many different kinds of ideas. This one focuses on girls and women and in turn benefits entire communities. After you check out the video, check out the website she:sustainable health enterprise and learn more about the she28campaign.